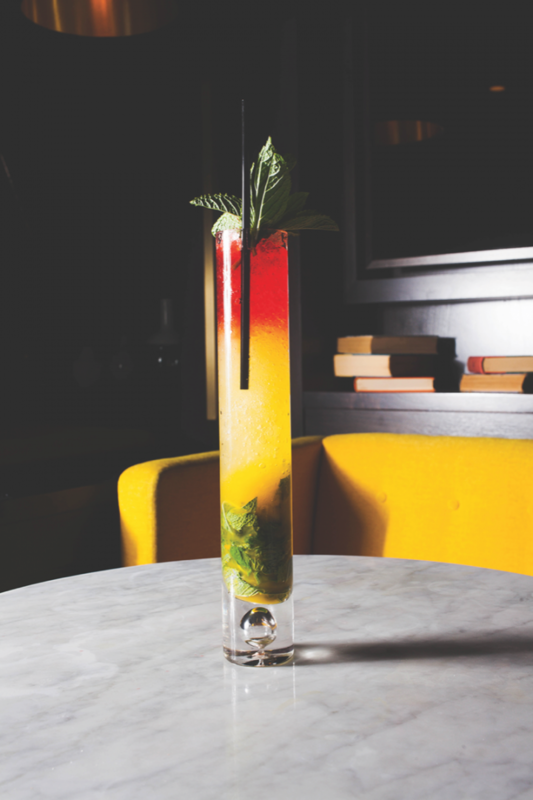 As the temperature rises, mixologists seek flavors that pop. 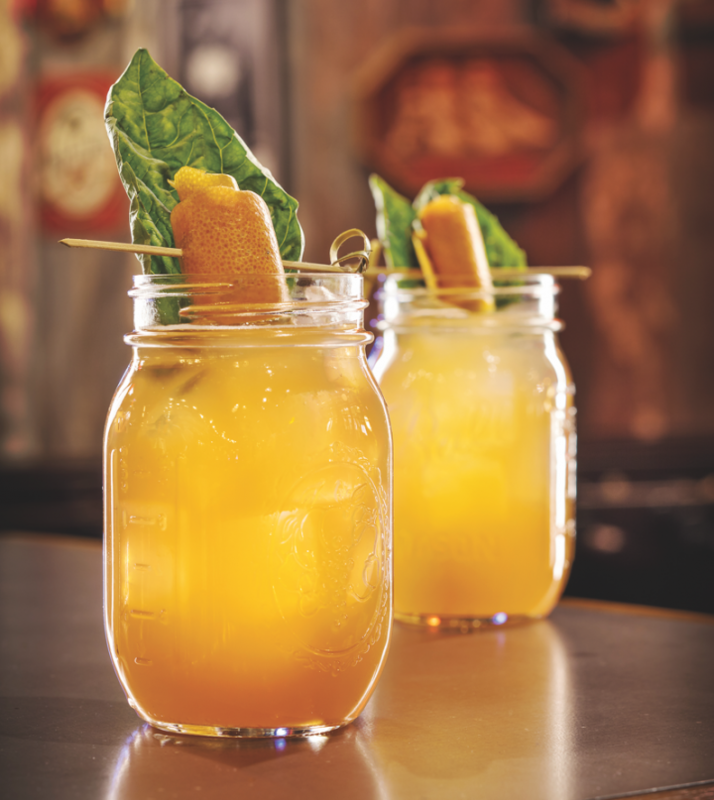 Fresh produce—including seasonal fruit juices and bright herbs—are cocktail staples these days. Mixologists and consumers alike prefer ingredients that come from their local farmers’ market rather than from a far-off factory. For these discerning cocktail makers and drinkers, fresh is always best—so when summer comes around, they rejoice. “Making summer cocktails is so much fun because a lot of inspiration comes from seasonal fresh ingredients, including fruits, citruses and herbs,” says Ashela Richardson, brand ambassador for Flor de Caña rum. Throughout winter, mixologists rely on items with longer shelf lives, like spices and dried herbs, to make drinks that are meant to be sipped and savored. 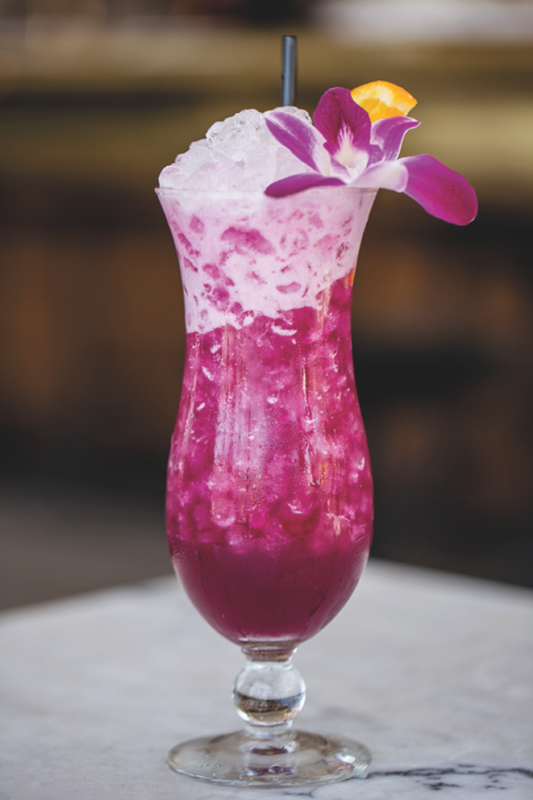 But in the summer, Richardson says, bright, vibrant flavors are the focus in thirst-quenching drinks. 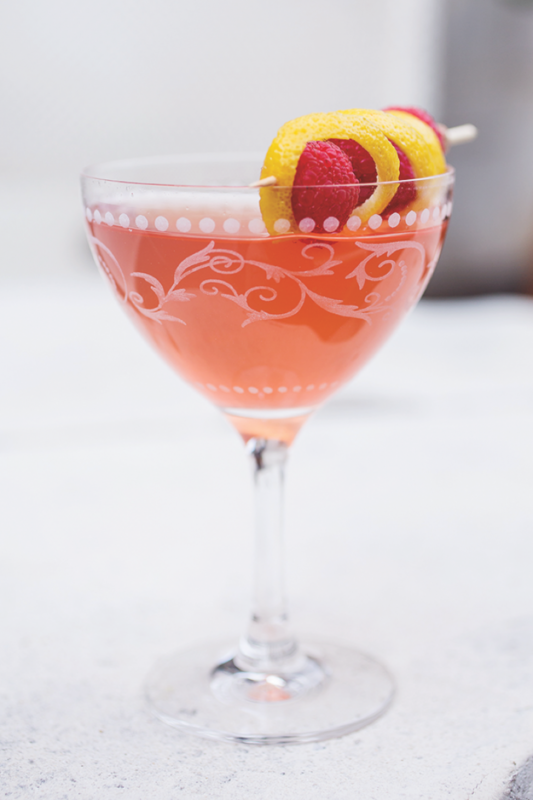 “Longer, refreshing cocktails take center stage in the summer,” she notes. Simple cocktails reign supreme during the summer. 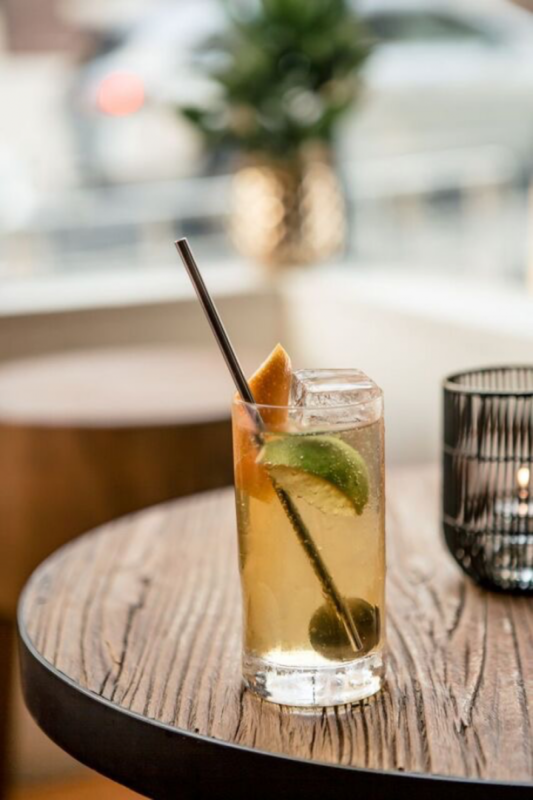 At San Francisco’s Pacific Cocktail Haven, the Nicaraguan Highball blends aged rum, tonic syrup and soda water for an updated take on a classic summertime crowd pleaser. White spirits are most mixologists’ first choice when making summer cocktails. 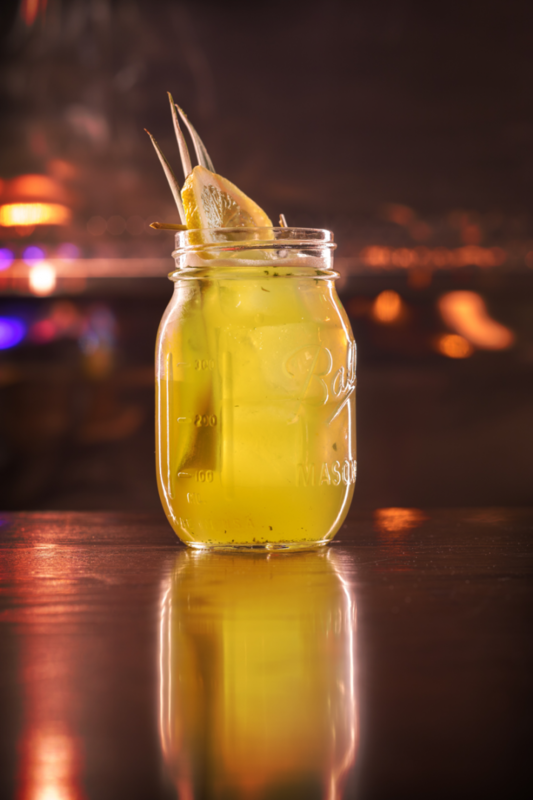 “I tend to stick with vodka, gin and blanco Tequila,” says Michael Monrreal, corporate mixologist for Las Vegas–based Clique Hospitality, which owns numerous venues nationwide, including The Still at The Mirage in Las Vegas and Lionfish at the Pendry hotel in San Diego. Benjamin Schiller, beverage director for the Fifty/50 Restaurant Group and new cocktail bar The Sixth in Chicago, also notes a preference for clear spirits in his summer cocktails, as they have crisp and refreshing flavors compared to richer spirits like whisk(e)y. Lowcountry’s Chester says that these unaged spirits also tend to pair better with the bright produce that’s synonymous with summer, whereas heavier spirits have stronger flavors that can be overpowering. Monrreal adds that his personal favorite summertime drink is the Gin Rickey, which is a simple combination of gin, lime and sparkling water. Flor de Caña’s Richardson notes that simple, straightforward cocktails like this are crowd pleasers. “In the summer we see people flocking toward sours, gimlets, mojitos and highballs,” she says. At Pacific Cocktail Haven in San Francisco, owner Kevin Diedrich’s Nicaraguan Highball ($10) blends Flor de Caña Grand Reserve 7-year-old rum, Bittercube tonic syrup and soda water. At both The Still and Lionfish, Monrreal keeps his summer drinks on the low-abv end by using smaller amounts of the base spirits and larger amounts of either beer or wine. His Lucky Luciano ($16 at The Still) features Avión Silver Tequila, Aperol aperitif, fresh lemon juice, basil and Stiegl Radler Grapefruit beer, and his Raspberry Beret ($14 at Lionfish) blends Aperol, Cocchi Americano Rosa aperitif, fresh lemon juice, simple syrup and Michel Girault Sancerre Domaine les Beaux Regards. Chester takes a similar approach to his Simply Delightful cocktail ($12), mixing three ounces of Vezzu Giancarlo Extra Dry Prosecco with just one ounce of Ketel One vodka and a half-ounce each of Aperol, Solerno blood orange liqueur and Carpano Bianco vermouth, finishing the drink off with a couple dashes of Bittermens Boston Bittahs. The wide abundance of fresh fruits, herbs and other produce available during the summer gives mixologists the opportunity to bring bright and naturally sweet flavors into their cocktails. “I’m most excited for farmers’ market strawberries this summer,” Flor de Caña’s Richardson says, explaining that she adds macerated fresh strawberries to a traditional Daiquiri recipe for a fresh take on the classic. 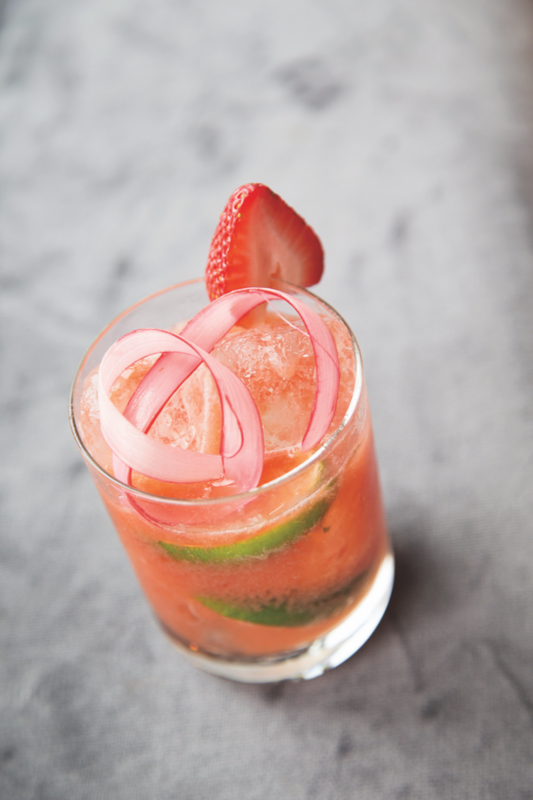 At The Skylark in New York City, beverage director Johnny Swet’s Strawberry and Rhubarb Caipirinha ($18) is a seasonal twist on the classic Brazilian drink, blending Avuá Prata cachaça, strawberry purée, agave nectar, lime juice and Fee Brothers Rhubarb bitters. Fruit juices are prevalent in summertime cocktails. At Presidio Social Club in San Francisco, the PSC Rum Punch ($12) by general manager Maureen Donegan comprises Flor de Caña Extra Lite 4-year-old rum and pineapple, pomegranate and passion fruit juices, while Chester’s Hurricane ($12) at Lowcountry mixes Cruzan Light and Aged Dark rums, mango purée, simple syrup, fresh orange and lime juices, and Bittermens ‘Elemakule Tiki bitters. “Consumers always seek out cucumber, strawberry, watermelon, mango, passion fruit and pineapple during summer months,” Clique Hospitality’s Monrreal says. His Pineapple Express cocktail at The Still ($16) blends Cîroc vodka, Pok Pok Som Pineapple shrub, fresh lemon juice, agave syrup and Kronenbourg 1664 Blanc beer. Chester notes that all bartenders should take advantage of the fresh produce available in the summer, adding that they shouldn’t limit themselves to just fruit. “Vegetables and herbs are great as well,” he says. “I use basil in our Limeade at Lowcountry, for example.” The drink ($12) comprises Fords gin, lime juice, brown sugar simple syrup and fresh basil. 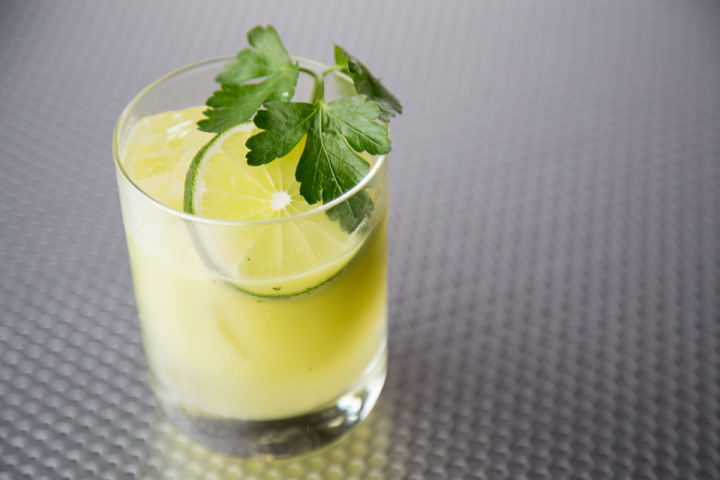 “Refreshing gin cocktails over crushed ice and with citrus elements are my favorite summer drinks,” The Sixth’s Schiller says. “And I love it when I’m able to use a seasonal herbal component like basil, blossoms, sage or marigold.” At The Sixth, Schiller’s The Doris ($12) features Fords gin, muddled cucumber, house-made orange flower water simple syrup, tonic water, Bittermens Boston Bittahs and house-made mint bitters, while managing bartender Joel Rund’s Zion Lion ($13) blends El Dorado 12-year-old rum, Germain-Robin absinthe, St. Elizabeth allspice dram, lime juice, mint, and house-made ginger and passion fruit syrups. Fruity and simple drinks may be in high demand in the summer, but today’s mixologists are always looking for ways to push the envelope, innovate and surprise their consumers. To get creative with their summer tipples, mixologists add unexpected flavors from liqueurs and house-made tinctures, proving that light and refreshing cocktails can still be inventive and modern. Schiller’s Silly Rabbit cocktail at The Sixth ($14) mixes Fords gin, lemon juice, simple syrup, house-made mint tincture and soda water. 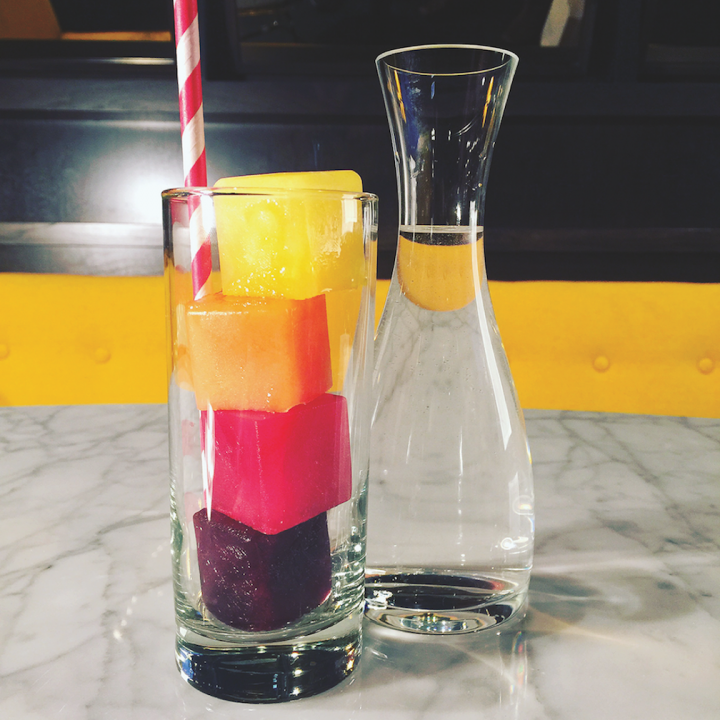 The combination is then poured over four differently flavored ice cubes—raspberry, grape, lemon and orange. Rund heads the ice program at The Sixth, often creating new ice flavors and shapes, and Schiller says that consumers love this innovative twist. House-made syrups and other tinctures, especially those featuring ingredients outside of the usual fruit flavors, add modern flair to any cocktail. At The Skylark, Swet’s Pistachio Cocktail ($18) features Beefeater gin, Singani 63 Bolivian brandy, parsley, house-made pistachio agave syrup and lime juice. Place mint in the bottom of a tall glass and fill with crushed ice. Add rum, syrups, juice, absinthe and allspice dram to the glass and stir using a swizzle stick or a bar spoon. Top with bitters and garnish with a mint sprig. 1Peel and juice ginger and allow juice to sit overnight. Gently pour ginger juice into a new container, leaving the sediment behind, and strain using a Chinois. Add an equal amount of granulated sugar by volume. Heat mixture and stir until all the sugar is dissolved. 2Defrost passion fruit purée, combine with an equal amount of water, blend and bottle. Muddle two lime wedges in a cocktail tin. Fill a rocks glass with cubed ice, add into tin with cachaça, purée, lime juice, agave and bitters. Shake and pour into rocks glass. Garnish with half a strawberry and a rhubarb ribbon. Combine Aperol, Cocchi Americano Rosa, lemon juice, simple syrup and four raspberries in a cocktail shaker. Add ice and shake vigorously. Add Sancerre and double strain into a coupe glass. Garnish with skewered raspberries and lemon peel spiral.